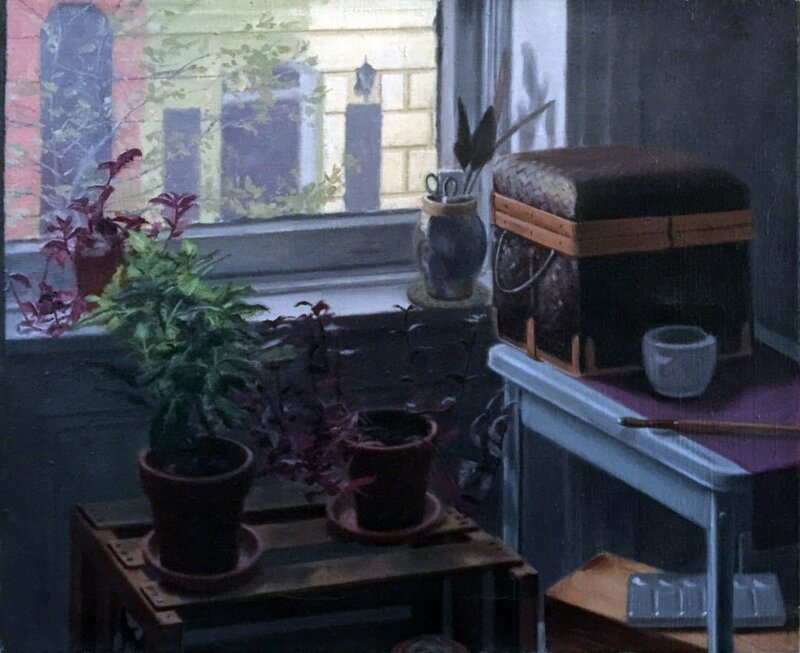 This humble still life began as a large figure subject, during the time that I was living in New York City. The model was a woman who danced with the Twyla Tharp Dance Company. She was also the wife of a friend, although they were shortly divorced.